Who is the Carrot Faery? The Carrot Faery came into being one night many years ago, when I was making silly faces at myself in the mirror while practicing drawing facial expressions. On the paper in front of me this character started to appear, sometimes it happens that way when I’m drawing, that a character will just form itself without too much thought from myself behind it. This character was a slightly odd looking faery emerging from a patch of carrots, sticking her tongue out at me. I immediately felt a great fondness and connection with this character. I don’t know why, maybe it was because she looked a bit like me (albeit with green skin and orange hair! ) or maybe it’s as I’ve grown to believe, that she is the embodiment of my creative side – a little odd, unusual, sometimes a bit haphazard, and sometimes she’s dormant for long periods, sleeping underground with the carrots. She has recently woken up after possibly her longest dormant period. In 2013 the biggest change to my life happened when I moved from London to Belgium to live with my partner, and gave birth to our son in June 2014. Being a new mum plus an expat learning a new language, was an experience that really overwhelmed me. If I’m being completely honest, and this is not something I like admitting to even my family, let alone the wider world, there were days when it was all I could do to keep myself from breaking down and still take care of my child. It’s only now that I’ve come through those days, now that I have a little more room in my head, that the Carrot Faery is waking up again. I’ve recently discovered new mediums and techniques that enable me to create the kind of imagery that I love, and I’ve never been so excited about making art than I am now. So I thought, why not share my art experiments and finished pieces with others? I’ve been following a lot of amazing artists and crafters recently who have really helped and inspired me to get creating again, and I’d like to pay it forward. 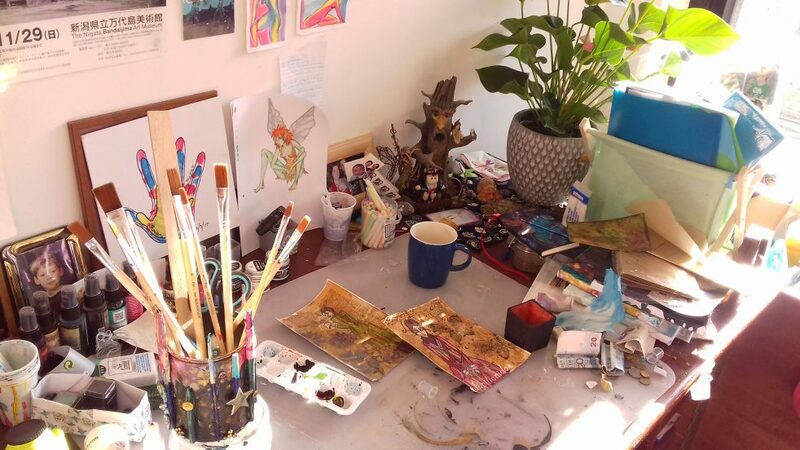 So, up for some art adventures? The Carrot Faery welcomes you with paint covered arms! 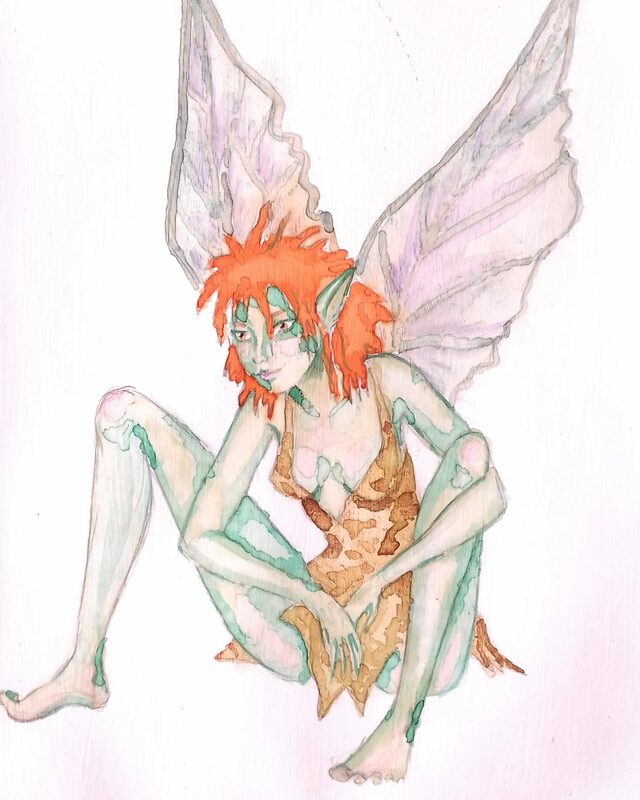 Unfortunately I lost the original carrot faery picture, this is the most recent one.